Darren’s robust advocacy and attention to detail has led to a busy civil practice with emphasis on matters arising out of road traffic accidents such as credit hire, personal injury and those cases involving fraud, fraud rings and where findings of fundamental dishonesty are sought or trying to be avoided. He accepts instructions from both Claimants and Defendants. Darren had considerable experience of other careers before he joined Chambers and utilises some of the skills he learned to develop specialisms in the work he now deals with. After leaving University with a degree in Electronic Systems Engineering Darren enjoyed a career as an Army officer in the Royal Electrical and Mechanical Engineers. Following this he incorporated and ran two companies with great success; firstly as a Managing Director of a company dealing with international property sales for 7 years and secondly managing his own I.T. business for several years before coming to the Bar. His life experiences ensure that his clients not only receive excellent legal advice but advice which is presented with a practical, robust and common sense approach. Darren’s practice involves a wide range of civil matters. He has a wealth of advocacy experience in all types of interlocutory applications and fast track and multi-track trials in the County Court and High Court. He appeared for the Appellant in the case of Howlett v Davies  EWCA Civ 1696,  WLR(D) 715 which considered fundamental dishonesty and QOWCS. Alongside his busy Court practice Darren has an advisory practice in a wide range of civil matters including personal injury including industrial diseases, contract, consumer credit, landlord and tenant and trust of land cases. Darren is unusual amongst barristers in that he actually enjoys credit hire work and happily accepts instructions in those cases in the upper reaches of the fast track and multi-track all over the country and as a result is regularly seen in courts in the North of England. Given his engineering and technical background, Darren has an obvious advantage and interest in matters that involve engineering or other technical evidence. Represented the Appellant Howlett v Davies  EWCA Civ 1696 where the Court of Appeal considered and clarified: (i) whether Defendant insurers needed to plead and put in cross examination dishonesty or fraud before such a finding can be made by the court; and (ii) the meaning of fundamental dishonesty. Multi-track case acting for the Defendant insurer defending a claim of personal injury and credit hire. Darren was consulted at a relatively advanced stage of proceedings to advise. As a result of Darren’s advice, the Defence was successfully amended to plead fraud. Procedurally very complex litigation that resulted in one Claimant discontinuing on day of trial and the other Claimant not attending trial. Darren advised and acted for a company involved in a long running and acrimonious dispute involving trespass to goods, injunctions and breach of contract. Damages were awarded to Darren’s client at a multi-track trial in excess of £95,000 and interim costs of £30,000. 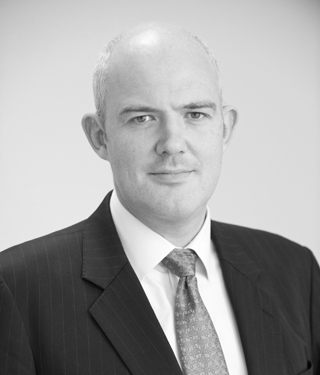 Darren acted for the Claimant in a credit hire claim of some £29,000 but allocated to the Fast Track. Darren advised on the evidence and advised that several key areas needed addressing. Those evidential issues addressed, at trial Darren obtained judgment for the full amount of the credit hire sought. Fast Track matter in which Defendant insurer had suspicions a personal injury claim was fraudulent or at least fundamentally dishonest. As a result of Darren’s robust cross examination of the Claimants, the Defendant applied to amend its pleading at the end of the cross examination. Judge subsequently made findings of fraud. Darren acted for several Defendants who were (correctly) pursued for breach of restraint of trade clauses in their employment contracts. As a result of Darren’s advice the Defendants managed to ‘extract’ themselves from an apparently hopeless litigation with an award of costs after succeeding in an interlocutory application. Darren acted for the Defendant insurer in a personal injury matter where a passenger of a vehicle had caught her hand in a closing car window. Darren successfully obtained summary judgment. Darren acted for the Defendant insurer in a motorcycle credit hire claim of some £30,000. At trial the Judge found the Claimant had no need to hire a vehicle and dismissed the claims./ The Judge further found the Claimant was not impecunious. Defendant insurer awarded 75% of its costs. Darren acted for Claimants in a neighbour dispute involving trespass and harassment. Darren successfully argued that summary judgment should be granted on some of the claim. Matter ultimately settled at PTPH. Multi-track case acting for the Defendant insurer in a multi vehicle collision where liability, causation and quantum were all in dispute between the numerous parties. Darren’s insurer clients was not found liable and awarded substantial costs. Darren acted for the Defendant’s insurer in a fast track matter that resulted in a finding of split liability in the Claimant’s favour. As a result of Darren’s cross examination, though, a finding of fundamental dishonesty was made in relation to the claim for personal injury and physiotherapy. At a subsequent hearing the Defendant was permitted to resile from a previous Part 36 offer, which the Defendant had purported to accept, and the Claimant was ultimately committed with costs being awarded to the Defendant. Representation of an Appellant who, after different Counsel had represented him in the Land Tribunal, wished to appeal the Tribunal’s findings of fact. As a result of Darren’s forensic analysis and detailed Skeleton and Chronology the Respondent conceded the Appeal and settled in a sum in excess of £350,000. Darren accepts instructions from individuals and companies in a wide variety of matters. Darren has a litigation extension to his practising certificate and can therefore act for individuals and companies directly in bringing and defending claims. He conducts his practice through a Bar Standards Board regulated entity DBTR Legal Services Limited. Darren has a wealth of experience in financial remedy proceedings in matrimonial matters and is happy to accept instructions in this area as well as his general civil practice. Darren Bartlett is employed by an ASB called DBTR Legal Services. DBTR has it’s own policy. He therefore complies with this policy which is as follows.